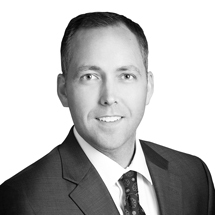 Blake joined Smith, Salley & Associates in March of 2014 with a focus on equity research and portfolio management. Blake’s career in the investment industry started in the investment consulting business and as Pension Manager at NCR Corporation in Dayton, OH. For the ten years prior to joining SS&A he served as an Equity Research Analyst at Sterling Capital Management (division of BB&T Bank) and at Dean Investment Associates. Blake earned a Bachelor of Science degree in Finance from The Ohio State University and a Masters of Business Administration in Finance from the University of Cincinnati’s Linder School of Business. Blake, a CFA charterholder, is a member of the CFA Institute and the CFA North Carolina Society. Blake and his wife Kelly were born and raised in Middletown, OH both graduating from Bishop Fenwick High School in 1993. After moving from Ohio to Raleigh, NC in 2006, Blake, his wife and their three children now call Greensboro home. The Guyler family attends St. Pius X Catholic Church and their children go to the Northern Guilford Schools. Blake enjoys golf, triathlons, and helping to coach his children’s soccer teams. To contact Blake you can email him at blake@smith-salley.com.